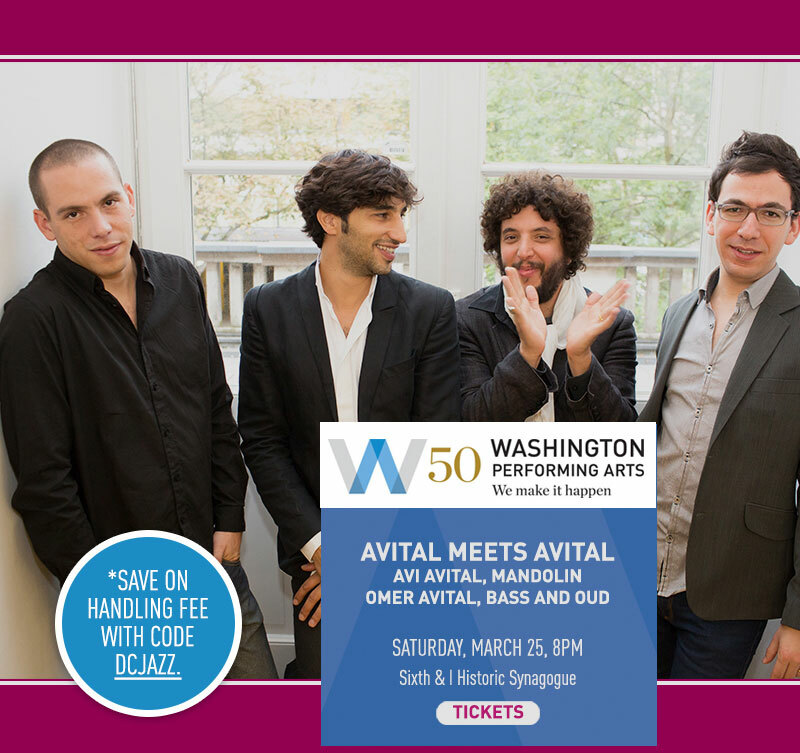 Virtuosity and eclecticism unite as mandolinist Avi Avital and bassist/oud player Omer Avital co-lead a blazing quartet that unites jazz with influences from Israel, Morocco, and beyond. Washington Performing Arts’ 50th Anniversary Season is generously sponsored by Dr. Gary Mather and Ms. Christina Co Mather. Special thanks: The Abramson Family Foundation. *Use the promotional code DCJAZZ when you purchase and pay no handling fees (a savings of $6/ticket). Offer expires Thu, Mar 23 at 5pm.